What does a world of excessive dirty aviation look like? South Korean artist Ho-Yeol Ryu’s piece Flughafen (German for “airport”) tries to answer the question visually. 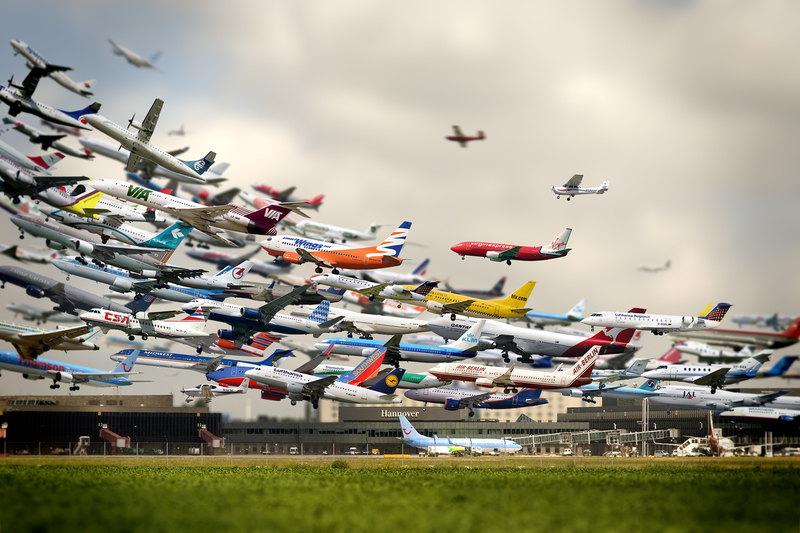 His piece is a lovely and foreboding composite digital image created using layering and tilt-shift techniques, based in part on images of planes taking off from Hannover airport, and addressing issues around aviation, climate change, and tourism.